India - The land of Tigers and Elephants, is one of the most interesting wildlife destinations in the world and offers plenty of India wildlife holiday options for enthusiast wildlife lovers. We invite you to explore this amazing wildlife with experts. 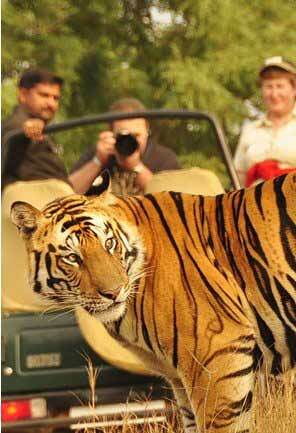 Relish the experience of soaking the history and culture, and witnessing the imposing tigers in India in just one expedition. 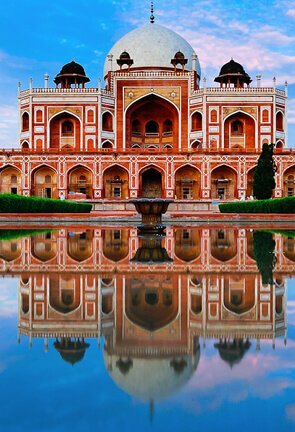 Get mesmerized by the Golden Triangle tour as it takes you to the charms of Delhi, Agra and Jaipur and bedazzled by the sight of fiery-eyed tigers in some of the best national parks in India. This tour lets a visitor explore the wilderness of the wildlife in India. Our 15D/14N expedition will take you to many National Parks teeming with wildlife, flora and fauna and king of the Jungle Lion. Explore some of the exotic sanctuaries like Gir National Park, Kanha National Park and Bandhavgarh National Park. 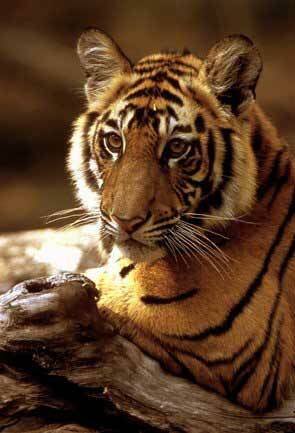 Witness the wildlife at its best in some of the well-known natural reserve in India. Explore Tiger and Rhino Tour in our 14D/13N expedition and visit spectacular wildlife sanctuaries like Sunderban National Park, Manas National park, Nameri National park and Kaziranga National Park. 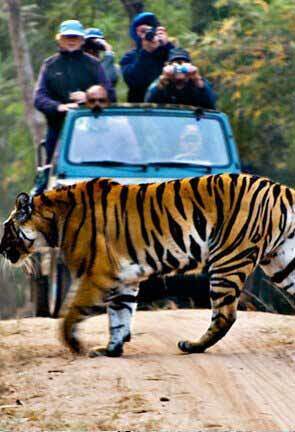 Get a close sight of mesmerising Rhinos and majestic Tigers. Explore the Kipling's Playground Tiger Tour in our 10d/9N expedition to some of India’s best wildlife sanctuaries. In this tour explore the many heritage sites in Khajuraho along with natural reserves to spot popular Bengal Tiger in Bandhavgarh Tiger Reserve, Kanha National Park along with other species. 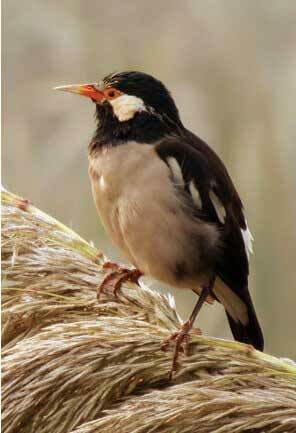 Birdwatching is a pleasure activity loved by many and this will tour will take you to some of India's best places to be. Delve in our 8D/7N package to experience bird watching in some divine natural enclosure like Corbett National Park, bird watch in Pangot village, Sat Tal and Nainital. Sunderban needs no introduction when it comes to Tiger reserve. In this package of 5D/4N, you can experience the beauty of Sunderban with an unforgettable array of pleasant nature and wildlife surroundings. An adventurous stay in jungle resorts to nature's premium and fearless Tiger sighting. It is a complete retreat for wildlife lovers. Cherish to see the various birds in their natural habitat? 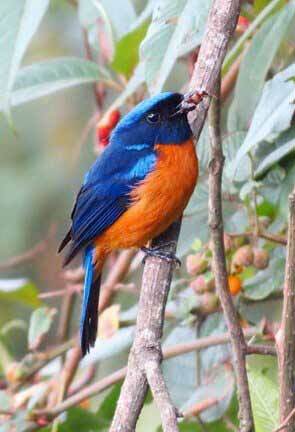 Then explore our 13D/12N package that will take you to divine abode for bird watching excursion and sightsee other species. 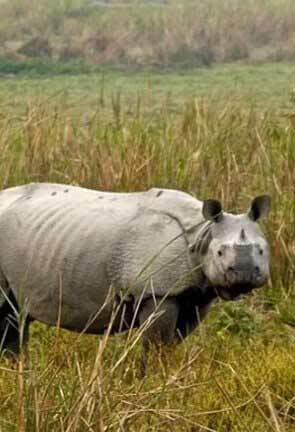 Plunge in natural habitat centres like Kaziranga, Nameri, Sundarbans etc. Witness the wonders of animal kingdom and partake other fun activities as well. Explore the exotic wildlife preserve in Northeast states of India and see stunning pristine wildlife habitat. This tour of 16D/15N will guide you to divine landmarks for wildlife sightseeing like Manas National park and Tiger reserve, Nameri National park, Kaziranga National Park, Dibru Saikhowa National Park and Namdapha National Park. Numerous religions, ethos, customs, traditions, food, languages, castes etc have made India unique and diverse. The country is renowned worldwide for being culturally rich and vivid. 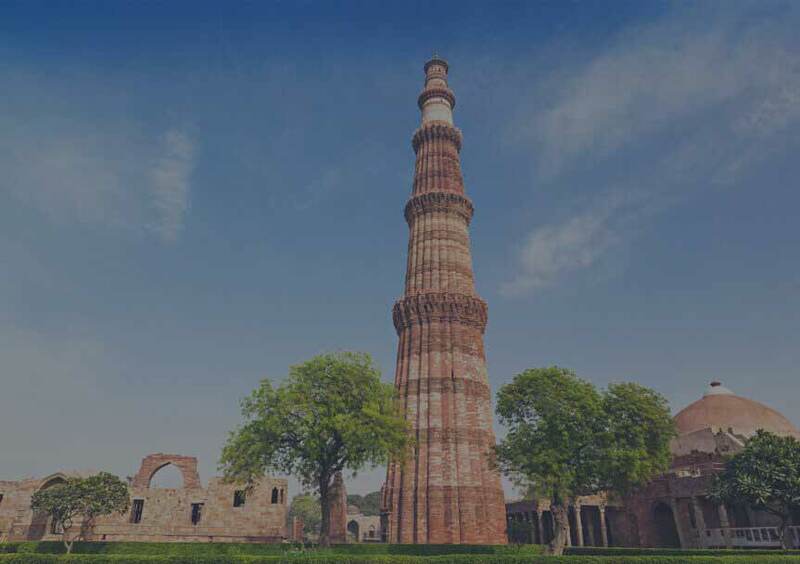 From sparkling Golden triangle tour to eclectic North India trip – Our designed Indian cultural holiday packages intent to let the travelers seek genuine insights of various culture of the country. 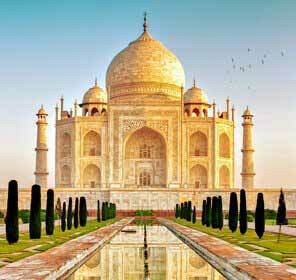 Explore the rich culture, tradition and history of India through the Golden Triangle Tour. 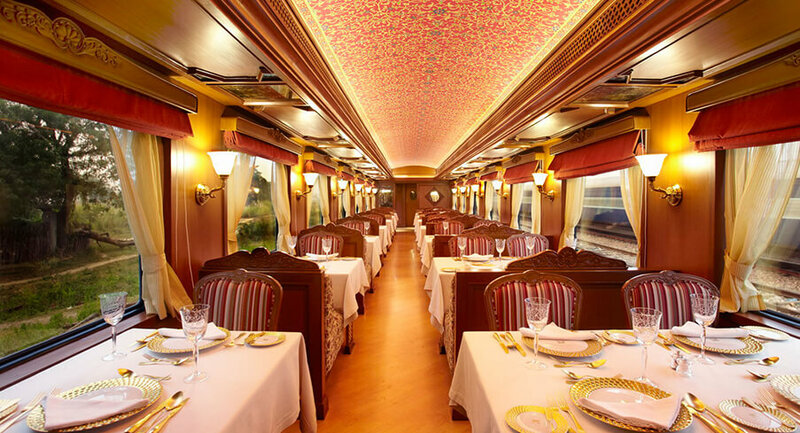 This 5N/6D tour package will take you to tourist destinations like Delhi, Agra and Jaipur. 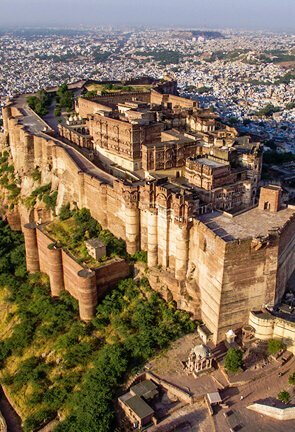 Explore the historical forts, beautiful architecture and mesmerising mega structures. This tour will give you wonderful opportunity to sightsee some pride of India. Set sail to the mystical land of Indian tour. Explore the best of mystical India through our 16N/17D that will take you for an ultimate journey covering prominent states like Maharashtra, Gujarat, Rajasthan, Uttar Pradesh and Madhya Pradesh. Indulge in some interesting landmarks and visits forts, lakes, temples hill stations and lot more. 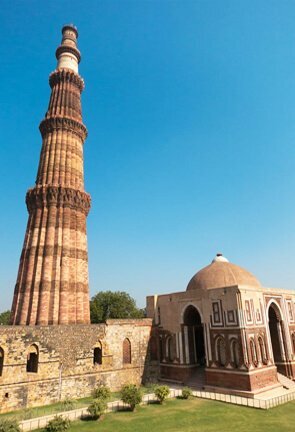 Explore our thoughtfully designed 13 days 12 nights tour package that will give you a globetrot experience of India. Explore the historical sites in Delhi, witness the Flag Retreat Ceremony in Indo-Pak Wagah Border Amritsar; tour the forts in Jaipur, get inspired by the Taj in Agra, tour some fascinating temples of Khajuraho and cruise the Ganges to see the life of pilgrims. 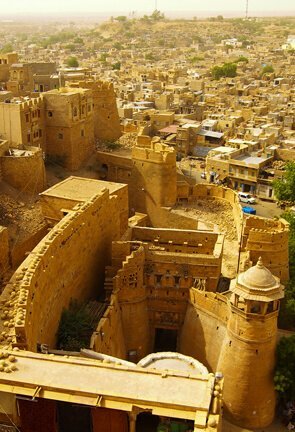 Rajasthan has the ability to charm and delight anybody who visits this enchanting place. We provide the best of Rajasthan tour in our 10N/11D expedition. Explore the magnificent rustic beauty of the desert, a boat ride at Lake Pichola in Udaipur; experience the forts of Jaisalmer and haveli’s in Bikaner, Nawalgarh and an elephant safari at Amber Fort in Jaipur. This tour package will provide you great spiritual experience to explore the various attractions of major riverfront cities in India like Delhi, Mathura, Agra, Varanasi, Allahabad and Lucknow. 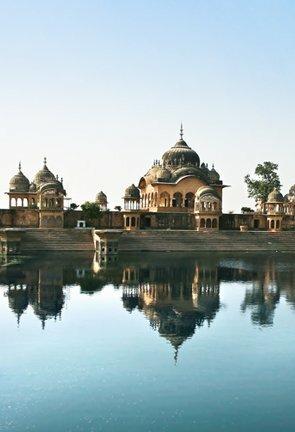 This tour lets you visit three sacred rivers in India – Yamuna, Ganga and Gomti. Seek peace and feel spiritually enlightened in the bays of these divine places. Explore the overall effect of Indian impressions and experience the essence of different flavours of India. Travel to the famous tourist centres with tangy flavour that will last throughout your stay. Enjoy our thoughtfully designed 12 days/13 night’s tour to Delhi’s quintessential ambience and well-known tourist centre like Varanasi, Jaipur, Udaipur, Khajuraho, Jhansi and Agra. Explore the hidden treasures of central India in our thoughtfully designed number of divine destinations to venture on your 13D/12N tour. During this expedition, you will be visiting some landmarks in popular destinations like Mumbai, Aurangabad, Ajanta, Indore, Ujjain, Sanchi, Bhopal, Jhansi and Gwalior. 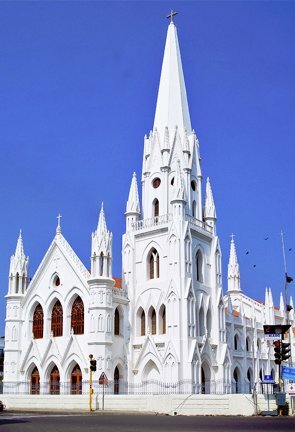 Travel to the south Indian states this vacation and join our tour for a heritage excursion. Explore the southern states in our 12D/11N and sightsee fabulous heritage sites in the cities like Bangalore, Srirangapatnam, Mysore, Chikmagalur, Hospet, Hampi, Hospet, Bijapur, Badami and Goa. 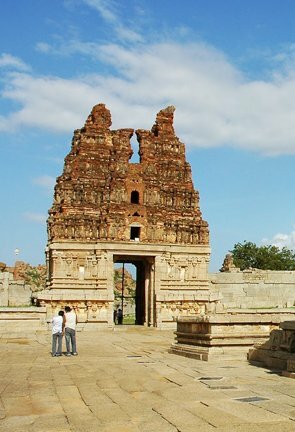 Walk the ruins of age old history and important temples. India's westernmost state Gujarat has numerous sacred sites and our tour package can help you to soak in spirituality and sightsee some of. 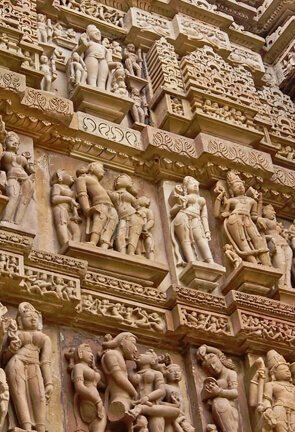 Explore the best of Gujarat’s finest historical places. 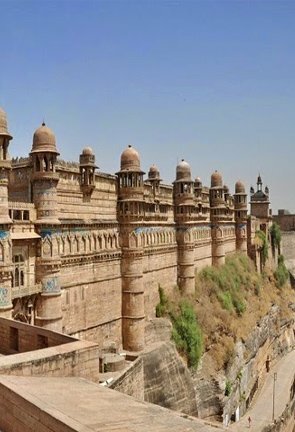 Explore the best of Gujarat in our 10D/9N package and visit places like Ahmedabad, Jambughoda, Chhota Udaipur, Uthelia, Bhavnagar, Palitana, Gondal and Wankaner. 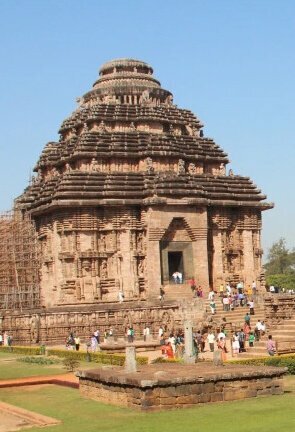 An East Indian state on the Bay of Bengal, Odisha is popularly known for its tribal cultures and ancient Hindu temples. You can traverse the heritage sites of Odisha with our 6D/5N excursion and witness the majestic Konark Temple, Chilka Lake, Pipili Village, Khandagiri and Udayagiri Cave etc. Explore many majestic palaces located in different parts of the Himalayan region with our 9D/8N Palaces of Himalayas Tour. Our package includes a visit to Taragarh Palace in Kangra Valley, the enchanting Dhauladhar Mountains, Bhagsunag Temple in Dharamshala followed by Dal Lake, Dalai Lama Temple and ancient Baijnath Temple in Pathankot. 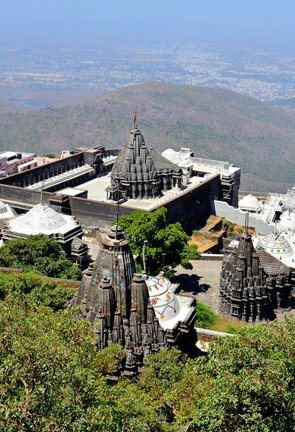 Explore the famous landmarks in these two Maharashtrian districts Mumbai and Aurangabad. Mumbai is adorned with magnificent monuments, beaches and Aurangabad stages Bibi Ka Maqbara and many other historical sites. 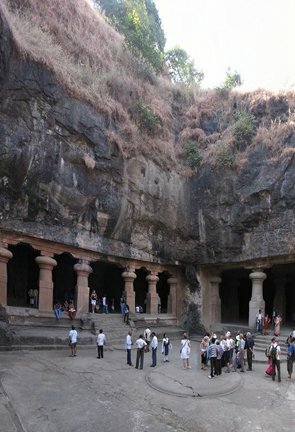 Explore our 6D/5N tour package to spend a vacation witnessing and admiring the architectural beauties of Maharashtra. 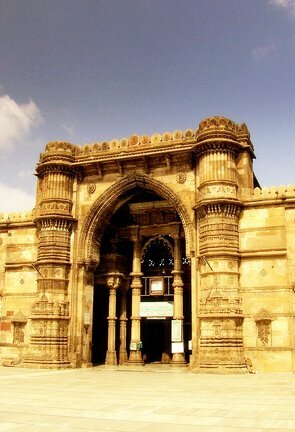 Madhya Pradesh, which preserves landmarks from eras throughout Indian history, is home to some incridable historical sites. With our tour package of 7D/6N journey to some notable landmarks and explore neighbourhoods like Bhopal, Bhojpur, Bhimbetka, Sanchi, Khajuraho, Orchha, Datia, Gwalior including other cities like Agra and Delhi. 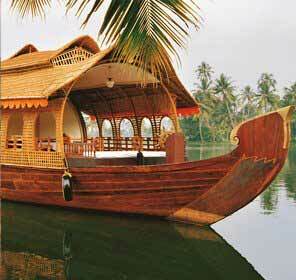 Explore your dream honeymoon vacation with your lover and explore the beautiful tropical paradise Kerala. Let our thoughtfully prepared itinerary for 5D/4N indulge you will a paradise like a holiday. Explore major romantic attractions of Kerala in some pristine destinations perfect for couples like Munnar, Thekkady, Alleppey Houseboat and Cochin. This wonderland surrounded by sandy beaches, peaceful backwaters and rich greenery is an unavoidable landing-place for nature lovers. Explore Kerala in our magical 6N/7D tour for quick introductory stops in divine places from hill station in Munnar, National Park in Periyar, backwater ride in Kumarakom and city tour in Cochin. 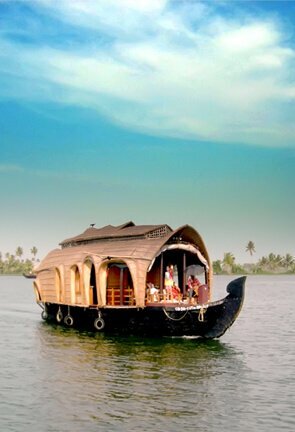 With an undying natural beauty, calm backwaters, grassy forests and towering palm trees. 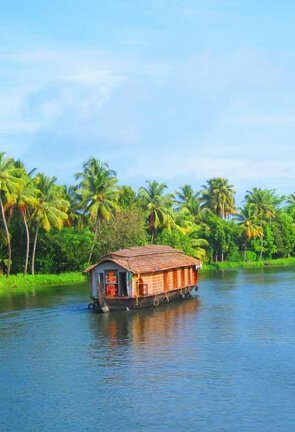 Kerala, one of the most romantic getaways in the southern part of India hold mesmerising landscapes. Our 6N/7D tour will help you get to some major tourist destination in Kerala like Cochin, Munnar, Kumarakom, Kovalam and Trivandrum. Kerala is one of the most visited states in India and this tour of 3N/4D will guide you to its diverse attractive landmarks. 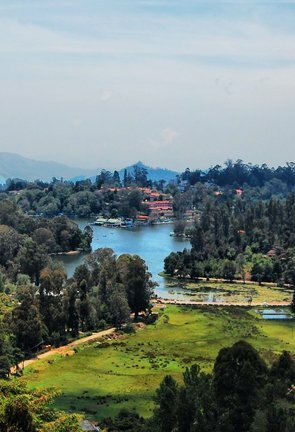 Along the long stretch of the south Indian Territory experience, the leisure jaunt in its soothing ambience from the valleys of Munnar to the end of Kanyakumari. Explore the manifolds the state has to offer and 6N/7D is all it takes to delve into the fresh country and see its many destinations. From living in a boathouse in Alleppy to sunbathing on the sandy beach in Kovalam. 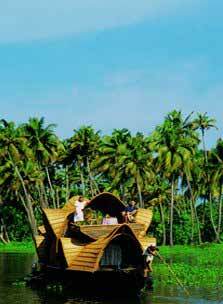 Fill your soul with happiness around the best landmarks Kerala offers. 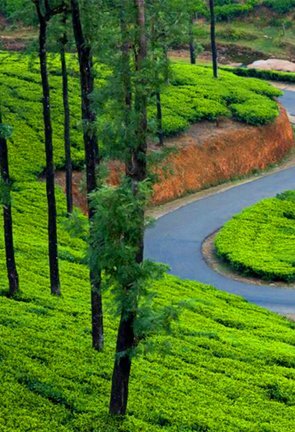 Keep a steady pace when you are in Gods own Country and enjoy the 7N/8D escape to Kerala. 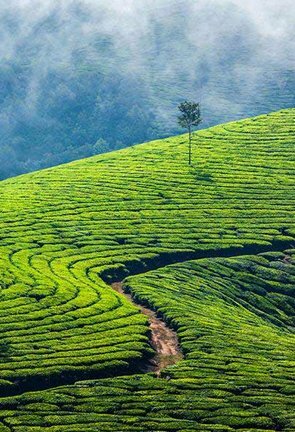 In this tour, explore Kerala’s most unparalleled sight of the tea gardens in Munnar, the exotic wildlife of the Eravikulam National Park, the pristine beaches of Kovalam and scenic beauty of the backwaters. Experience beautiful Kerala in our 9N/10D excursion, our tour will showcase some enchanting treasures of the south. 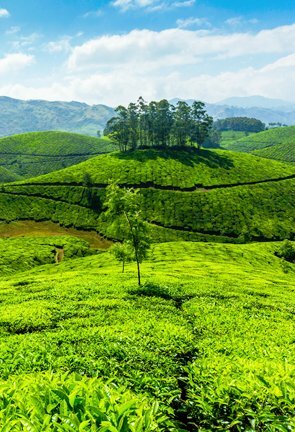 With immense vibrancy and tranquillity that is hard to miss explore pristine Munnar, traditional dance in Thekkady, beach in Kovalum, backwaters in Alleppey, sightseeing tour in Kanyakumari and city tour in Cochin. 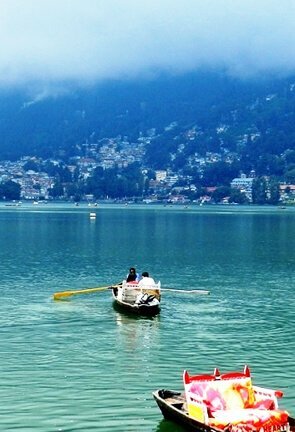 Himachal Honeymoon tours which will give you access to spend an interesting honeymoon amidst peace and abundant scenic beauty. 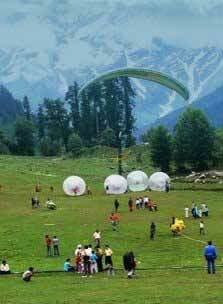 Our 7 nights 8 days package will let you tour around the beautiful hills of Shimla; witness rich flora and fauna of Manali; traverse the Pine and Deodar forest of Kullu and the gardens of Chandigarh. Surround yourself with snow covered mountains, high altitude lakes, rolling meadows, dense forests and rich flora and fauna in our Uttarakhand Honeymoon Tour package for a refreshing start with your spouse. Let our thoughtfully prepared itinerary for 6 nights 7 days honeymoon tour help you spend a dreamy vacation like never before. Delve into the sensual divine abode and enjoy our thoughtfully designed 9 days 10 nights honeymoon package to some of the exotic places in Kerala. Traverse the beautiful landmarks in places like Bombay, Cochin, Periyar, Kumarakom , Alleppey Marari and experience natural beauty of the south and memorial sites in Mumbai. Appreciate the crystal clear water, endless white sand beaches and romantic sunset in Andaman Island Tour. Engage in our 6 nights 7 days Honeymoon tour thoughtfully designed for honeymooners that will take you to some of the best islands of the Andaman and leave you with many unforgettable memories. Feel the breezy winds, soothing atmosphere and witness the captivating hill stations of the North East India. 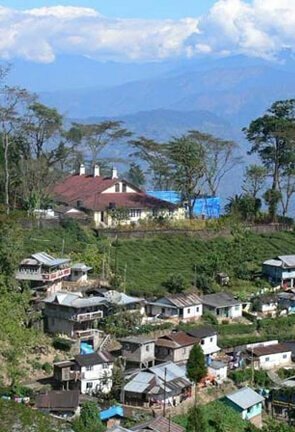 Be ready to explore our 5 nights 6 days honeymoon tour to the beautiful vacationing destinations of North East and explore the unmissable landmarks of Kalimpong, Gangtok and Darjeeling. Traverse a romantic destination in Rajasthan and tour around Mount Abu and Udaipur in our 4 nights 5 days Rajasthan Honeymoon Tour. The meticulously crafted tour package let you enjoy the beauty of landmarks like Nakki Lake and Dilwara Temple in Mount Abu and Sun Set Point in Udaipur followed by city excursion. Goa is a marvellous tourist destination famous for its romantic beaches and this picture-perfect place could be your honeymoon paradise. With our 5 nights and 6 days getaway, we offer an unlimited and uninterrupted time with activities of your own choice and overnight stays at luxurious hotels. 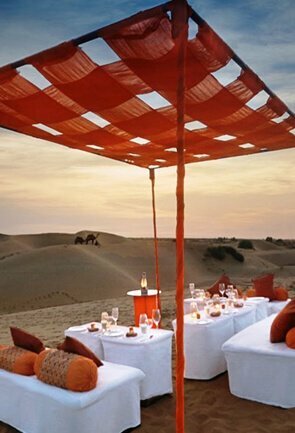 At this surreal Indian destination make your honeymoon memorable. Uttarakhand illustrates its spread out abundant natural beauty, viridian rivers, snow-capped peaks, waterfalls and rich meadow. Garhwal has a surplus of options for adventure holidays. 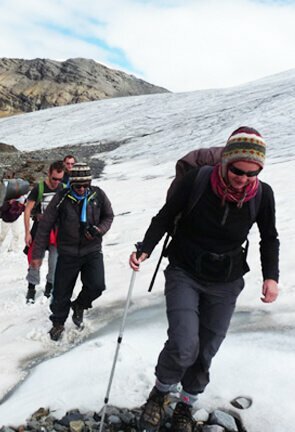 Trekking in Garhwal Himalayas is one such activity that adds thrill in the destination. 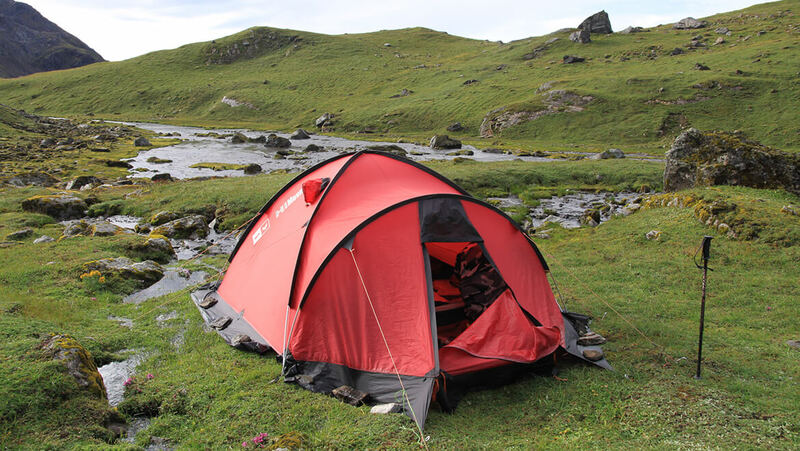 Himachal is truly a perfect trekking adventure getaway. 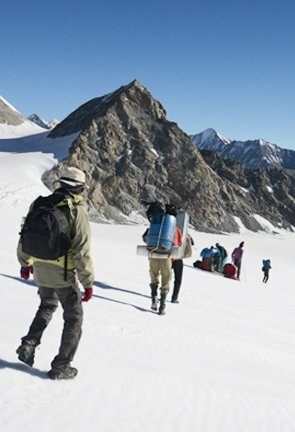 It's rich and high-spirited culture adds vastly to the beauty of the Himachal’s trekking Tour, besides it has plentiful adventure activities and trekking in Himachal is one of the oldest and the most favoured adventure tourism in the state. 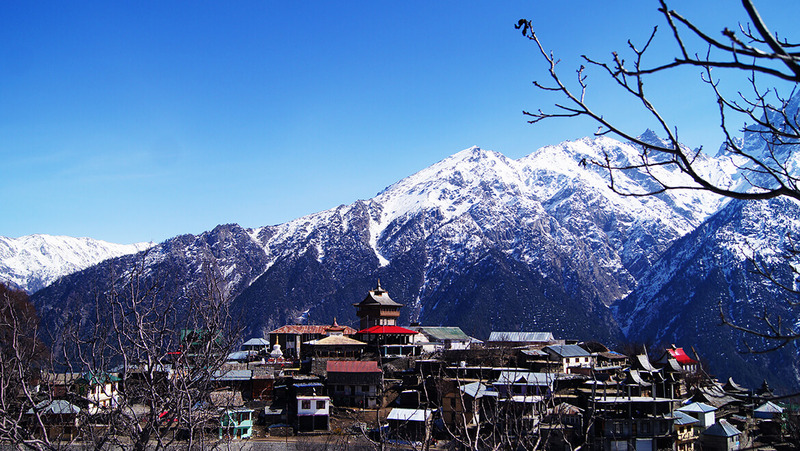 Pulsing with zestful of energy, Sikkim tourism has an undeniable extent when it comes to thrill and adventure tours. Drenched in the midst of diversity, travellers witness an unparalleled beauty and dramatic hills of the Himalayas. 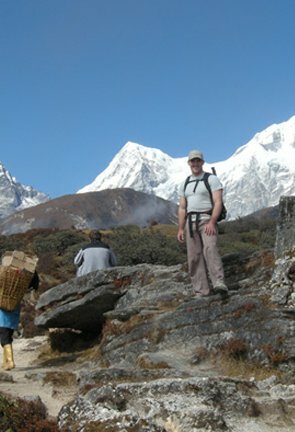 Sikkim offers an embrace with the cascading stream and rugged slopes experience most exhilarating trek of your lifetime. 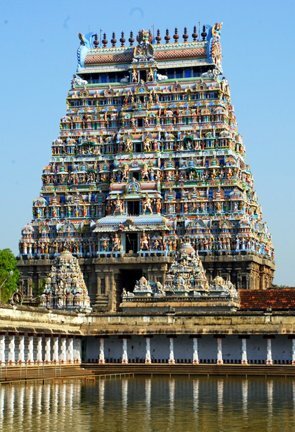 India’s great divine journey takes you to all the important temples in South India. South India Temple Tour gives an insight into the architectural excellence of southern temples that maintains an ambience to help you connect with the God. This tour will take you various temples like Lord Venkateswara, Govindaraja Swamy Temple, Arunachala Temple and much more. 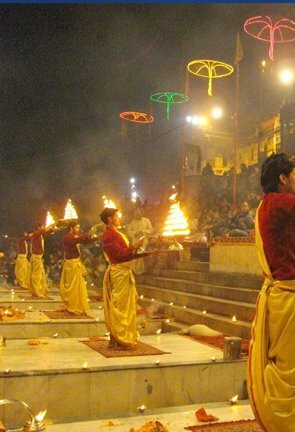 Mathura a sacred city in Uttar Pradesh is the deity Lord Krishna’s birth place. This tour will give you an insight of the holy journey; it will cover all the important godly places associated with Lord Krishna like Mathura, Nand, Gayon, Gokul, Barsana and Govardhan. The Land of Lord Krishna tour will bring peace and positivity to all visitors. India is a land of mixed culture and South India has a perfect blend of unity in diversity. This tour package will take you to some ornamented and wonderful architecture in various parts of the south region. Experience the distinctive atmosphere of the Buddhist Pilgrimage Tour. Stunning marvel structure elevates you as this tour takes you to catch a glimpse to some superb Buddhist pilgrimage sites. 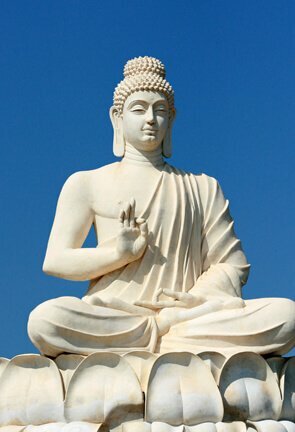 Experience tranquillity and peace as our tour package will take you to various Buddhist sites like Bodhgaya, Varanasi, Sravasti Kushinagar and Lucknow. 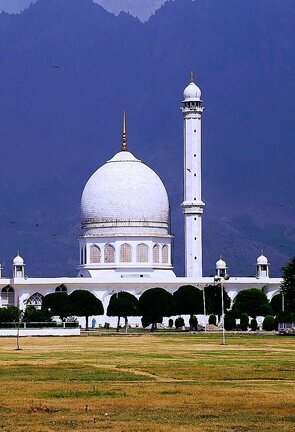 Islamic Pilgrimage Tour will take you for rounds to catch a perfect glimpse of Islamic culture as you wander through the sites like Red Fort, Humayun’s tomb, Jama Masjid in Delhi. Explore the magnificent and remarkable Dargah Sharif in Ajmer and a pink city Jaipur where you stop at Amber fort. Jainism teaches to live life in harmlessness and renunciation and it is an ancient religion in India. Jain Pilgrimage Tour takes you to some of its opulent Jain Temples located in different areas. This perfect attempt to find serenity and spirituality are found in pristine areas like Bhavnagar, Junagarh, Mount Abu and Ajmer. India is a land where one can find a merger of different religions therefore the country is always lit with its vibrancy and culture. 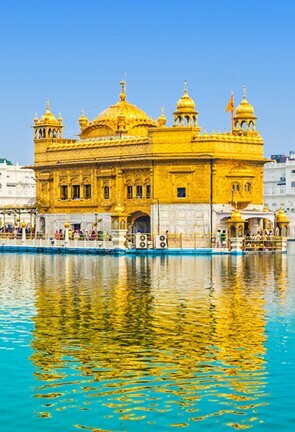 Best of Sikhism Tour will guide you to explore the shrines of Sikhism like Gurdwara Bangla Sahib and the Gurdwara Sis Ganj Sahib that illuminates a wonderful piece of architect and serenity. 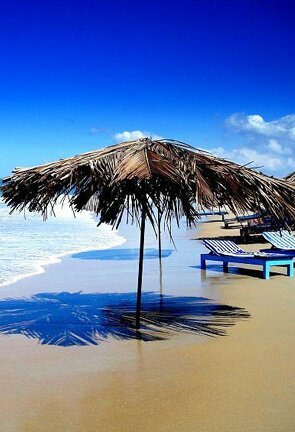 Enjoy the coastline of Goa's best beaches that attract visitors all year round. With our 5N and 6D tour at this prime location, sightsee Goa's perfect blend of Latin heritage, scenic beauty, amazing nightlife and engaging beaches. Tour around the northern and southern Goa and visit some of the landmarks widely popular in Goa. Overlooking the Arabian Sea or the Laccadive Sea, India is dotted with pristine beaches to help you lose your mind. 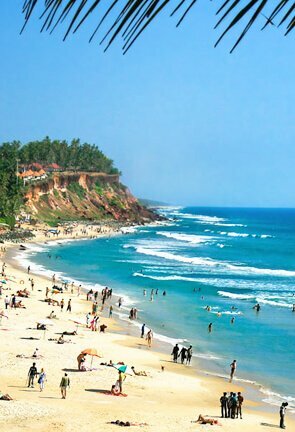 This 10N and 11D tour provides you with best of Indian beaches. Take the trails to the best seashore of Mumbai, Goa, Kovalam, Varkala, Kochi and experience the beaches as well as historical sites in just one expedition. 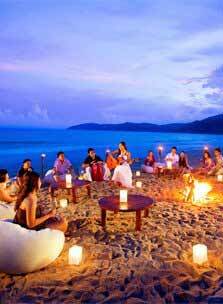 Experience the exotic beaches of Goa and historical sites in Delhi, Agra and Jaipur. This 10N and 11D Golden Triangle with Goa Tour will offer you a blend of rich cultural savoir-faire that transports you to a classical era. Explore some historical landmarks and dive in for a refreshing treat in some of Goa's best beaches. Tour My India Pvt. Ltd. has consistently aspired to be a reliable and approachable tour operator that makes good its promises, something which has been lauded by customers and industry experts alike. We are the proud winners of the "Best Upcoming Inbound Tour Operators in Noida" award in 2013, presented by World Tourism Brand Academy in the field of "Excellence in the Tourism Industry." We understand our customers and always deliver on our promises. And we don't stop at just offering customized packages, but see to it that the tour goes smoothly and as planned for an unparalleled travel experience. Be it special interest tours, budget travelling, family holidays, honeymoons or adventure tours, we can make it in a click for you. Being a customer-driven travel company, we fully understand the desires as well as compulsions of the traveler and take them into account while making travel deals. The end result is custom-packages that allow clients to have maximum fun without burning a hole in the pocket. The backbone of the company is its team of 50+ Travel Experts, who bring diverse experience and skills to the table. They work round-the-clock so that our customers can devote all their energy to sightseeing and having fun leaving issues like logistics and planning in our able hands. Based on a transparent business model and with over 150,000+ happy customers, Tour My India Pvt. Ltd. today is one of the fastest growing tour operators in India. We are a team of 200+ travel experts with experience in all expect should be aspect of planning and execution, and can give wings to your dreams. We have alliance with over 45,000 hotels across India including both budget and luxury hotels and can arrange accommodation for you as per you demands and budget. Many of these hotels are known for outstanding services and genial hospitality, so you are assured of a pleasant stay. 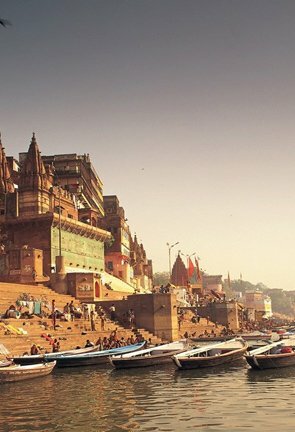 The land which has undoubtedly its own way of life; the land that showcases the scintillating part of natural beauty, majestic culture, ancient heritage and grand wildlife; India invites all for a tremendous classical tour at its variant location for various purposes and for different reasons for celebration. Tour My India takes the privilege to make you get acquainted with the glorified treasures of this amazing ancient country. The country which is full of differences and with the most alluring tour operating services we are ready to assist you to recognize and respect those differences and versatility in a grand and royal manner. For booking accommodation, transportation and guidance our dedicated members will always stand by you to bring the most impressive Tour My India Travel Services. From Northern Himalayas to Southern beaches, Eastern jungles to Western deserts, India is flourished with so many cultural and geographical diversities, a perfect reason for India tourism. There is simply no other words that catch the true enigma of this land where great legends still holds its power and impression, the grand architectural structures are the true reflector of history and the life of the spirit can be sacredly glimpsed at different temples and pilgrimage sites at its every corner. Royal Rajasthan, lying at the west end part is the most blissful state where colorful attires and vibrant cultures are its true enigma. The land of the Rajputs showcases many forts and palaces and sustained museums drawing people to experience impressive travel to India. The city palace in Jaipur and Udaipur are the true pride of royal Rajputana kingdom, Lake Palace in Udaipur at Jag Niwas Island reflects the true sanctity of pure white marble structure. The Chittorgarh Fort symbolizes the valorous tradition of Rajputs. The Amber Fort is the true emblem of both Rajputana and Mughal architectural marvels. 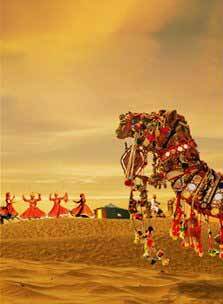 Besides, the world famous Pushkar Fair brings huge amount of camel and cattle trade with ancient Hindu practices. India is also framed with many spiritual and holy regions right from the sacred Himalayan valleys to the oceanic temples of South. Badrinath, Haridwar, Rishikesh, Varanasi, Dwarka at North-east region; Puri, Somnath, Mahabalipuram, Hoysla, Meenakshi Temple, Tirupati Balaji Temple, Konark (Sun) Temple and Rameshwaram Temple in South India are the sacred destination to attain spirituality. 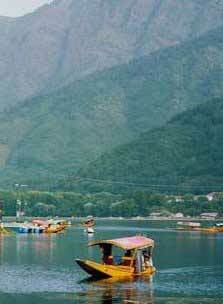 India Tourism also brings a fantastic opportunity of backwater tour in its vast, eloquent beaches. The magnanimous beaches of Kerala, Goa, Maharashtra and Tamil Nadu soak ever moods along with the tranquility of the nature. 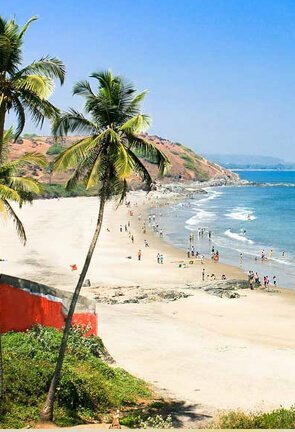 Kovalam, Baga, Marine Drive, Calangute, Juhu Beach, Dona Paula Beach are some of the magnificent sea-sides that brings tremendous enjoyable options for the party freaks and the romantic honeymooners along with some relaxing Ayurvedic Treatment Centers and Spa therapies. But above all these fantastic features, the most royal experience one can have with India tourism is its grand wildlife tour at different dense jungles and sanctuaries. For the welfare of the endangered species and balancing the eco-system, India is designed with more than 500 sanctuaries and bio-reserve. 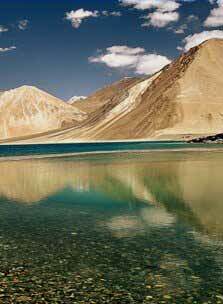 India proudly holds tremendous counts of wild species in the respective zones for great wilderness. 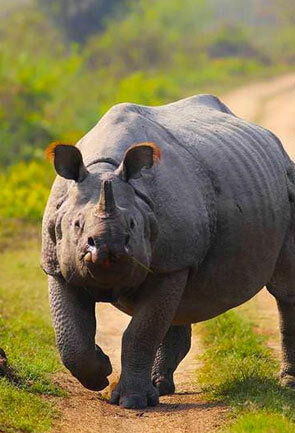 The names of Ranthambore, Corbett and Kanha are most popular for tiger tours, where on the other hand Kaziranga in Assam is the perfect home for great Indian Rhinos along with Sasan Gir in Gujarat to bring the majestic Asiatic Lions. In addition to this, India is a perfect paradise for the bird watchers and for the enthusiastic ornithologists who can easily visit Bharatpur Bird Sanctuary in Rajasthan, Chilka Lake Bird Sanctuary in Odisha, Thattekad Bird Sanctuary in Kerala and more for much fun and excitements. India is definitely the land of dreams and fantasy and people visiting this incredible land wish to come again and again and experience the true glory of the nation. We really enjoyed the Chopta Chandrashila trek arranged by you. Really appreciate all the help with arranging it for us. The cooks and our guide Akash were awesome and made our trip memorable. All arrangements exceeded our expectations and kids enjoyed a lot too. Looking forward to do more adventurous trips with you. Thank you again! My wife will leave a feedback on TripAdvisor too about our amazing experience. If you have a specific page let us know. I would like to thank you for a wonderful trip! We were immensely happy with the arrangements that you had made. We were especially grateful to have a great driver, Akash, who made the long drives manageable. Had a great experience with 'Tour My India' - Anil planned my trip to Tadoba and Jim Corbett wonderfully and organized drivers for us at each point. The safaris were amazing - highly recommend! 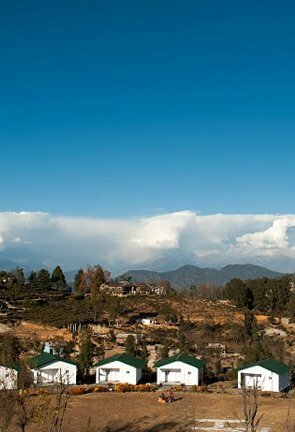 I booked a trip with Tour My India for my girlfriend and myself to visit Bandipur. One of the staff - Anil - organised the driver and accommodation etc and it all went very well. Very smooth process and no problems. I'd recommend them for sure.